Presenters Austin Pack and Alex Barrett showcased the Virtual Reality Language Learning Lab (VRLLL), a Virtual Reality Learning Environment (VRLE) uniquely designed and created to teach academic English writing structure. 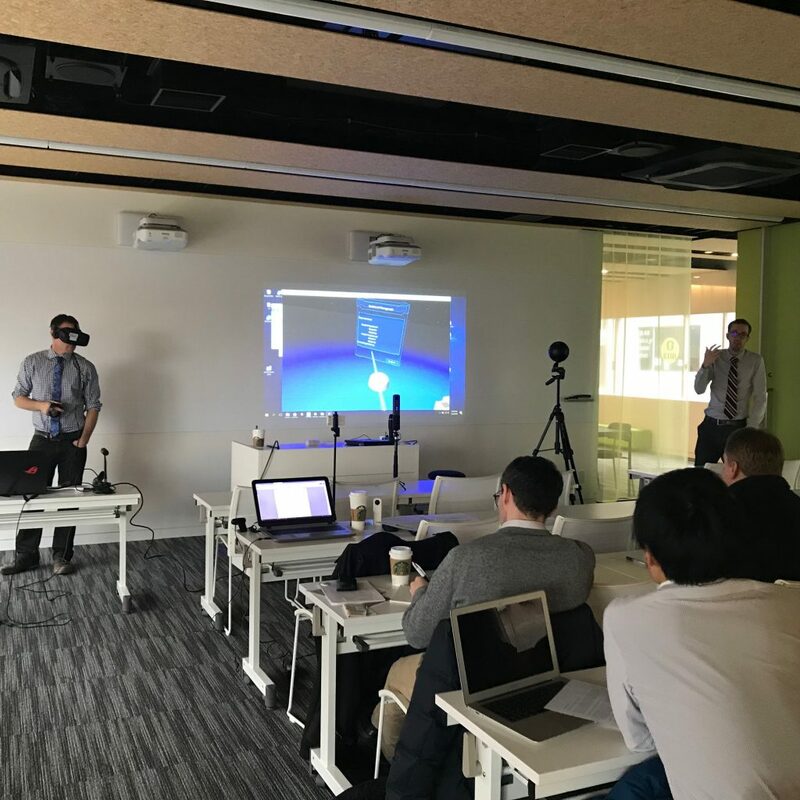 The workshop introduced the VRLLL through demonstrations and audience participation. 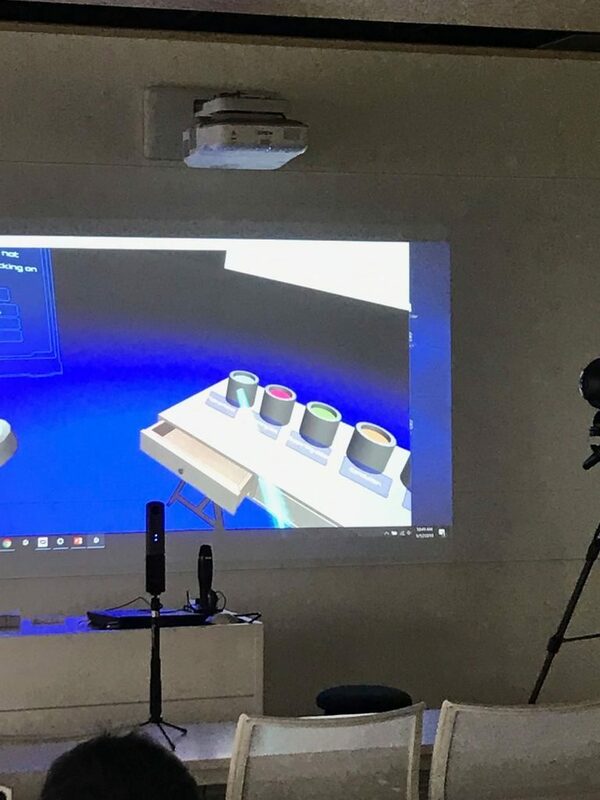 Current research on the motivating principles of using the VRLLL was disseminated along with concepts for future research. Following, the presenters explained the development process of the VRLLL and how they intended to expand it with additional applications. Copyright © 2019 Kyoto JALT. All Rights Reserved.